Whether you’re looking for a home, land, business or vacation property, there are so many factors to consider. Let us help you find the perfect property for you and your family with some easy advice to know when you’ve fallen in love and are ready for the next steps. Buying a property can be stressful and exciting all at the same time. 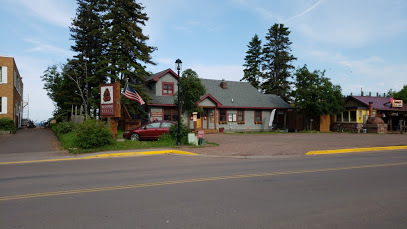 It’s an adventure, and we’ve got some great tips for you when searching to find the perfect property along the North Shore of Lake Superior. 1. Remember that ALL properties have flaws. The first thing you should know before even starting the process is that all homes have flaws. Even brand new construction will have things you won’t be 100% in love with. If you see the flaws and love it anyway, it might be a sign to buy! The worst thing that property buyers experience might be falling in love with a property they cannot afford. Narrow your search by getting pre-approved, that way you’ll know exactly what to look for, and not get carried away looking outside of your range. 3. Is it your ideal location? Another thing that happens when it comes to trying to find the perfect property is to find one in the neighborhood you actually want to be in. Do your research in advance and try to target property for sale in areas that fit your needs. 4. Bigger isn’t always better. Sometimes we all get carried away. If having high square footage is the only thing on your wishlist, you could be missing out on the perfect property in the perfect location, even if it is just a little smaller than you planned. 5. Don’t sleep on it if the market is hot. Taking too much time before making an offer can mean you lose out on the house of your dreams. Ask your real estate agent what they think. Most likely if you’re feeling giddy on a great house, someone else might be too. Make the offer! 6. Decide what is non-negotiable. Make a list of what things you need in a house that are absolutely non-negotiable. If you need a yard and 4 bedrooms, those might be something that you really can’t live without. However if all granite counters are on your deal breaker list, you might want to adjust your expectations. On the flipside, don’t settle for a house that doesn’t have what you really need. Deciding what you really need vs what you really want can help you make the decision later. 7. Get an outsider’s perspective. When you’re trying to find the perfect property, a great way to decide whether or not to make an offer might be get an outsider’s perspective. Bring your best friend or your parents or your siblings. Are they excited about the possibility of this house for you? Sometimes property buyers can get caught up in a house that just isn’t right for them, or overlook one because they can’t see past the unkempt yard. Bring someone you trust to weigh in on this big decision. 8. Is the structure sound? If you’ve fallen in love with a house, the most important thing to remember is that structural issues might keep you from getting approved for a home. Make sure that you check the foundation before you fall in love. Never, ever skip the inspection process! 9. Everything can be updated. Remember that nearly anything can be updated. Don’t get turned off by the wall colors or the carpet. Those things are fairly simple to update according to your own preferences. Similarly, don’t get caught up in the curb appeal. A fresh coat of paint and a powerwash can completely transform the look of a home. If you go to showings with the idea that you’ll be able to add your town personal touch, you’ll be much less disappointed. 10. Can you imagine yourself there? Maybe the most important part of when it comes time to find the perfect house is to actually imagine yourself living there. Can you see you and your family making memories there? If you’re cringing when thinking about it, it might not be the home for you. As real estate agents, we think it is important for our clients to trust their gut. If you don’t have a good feeling about a particular home, let us know! We want to set you up with the perfect home for you. Now that you have a basic list of what to think about before trying to find the perfect property for you in, you’re ready to get started. Agents like to consider themselves matchmakers, matching you up with the right house and making sure you’re satisfied with where you will be living. Another important thing to remember is to not sweat the small stuff. No house is really “perfect,” just like no person is perfect. If you have any questions about the home buying process or just have no idea where to start, let us help you!